Deniz Guven, our Global Head of Design and Client Experience, has 17 years’ experience in the banking industry, most recently as senior vice president of digital channels at Garanti, the second-largest private bank in Turkey, where he was in charge of mobile and online banking channels, ATMs, client contact centres, user experience and service design. Here he tells us how the Bank is evolving to meet customer needs, from coming up with new solutions to collaborating with leading tech firms and start-ups. What is the biggest challenge in the client experience space? This is an interesting time in banking. 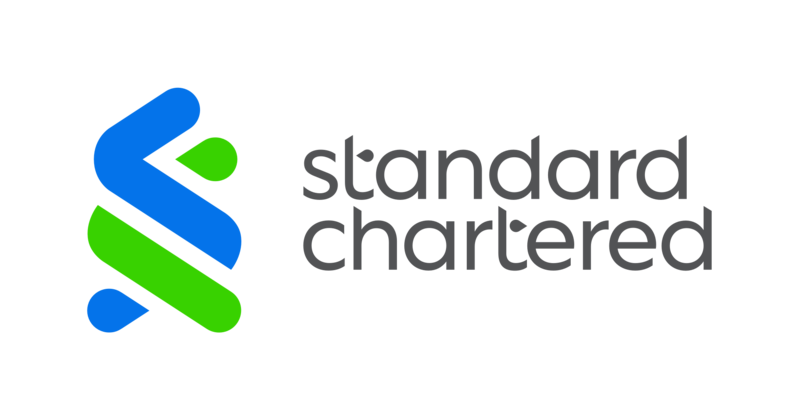 I’m passionate about offering new client experiences, and for Standard Chartered to be considered a leader in this space, we need to continue to exceed our clients’ expectations – and their expectations are high, and constantly evolving. "We want to introduce solutions that leverage the latest and best digital technology, but in a human way"
The Bank’s vision is ‘digital with a human touch’ – to start with our clients’ needs, problems, and pain points, and create services and products that address those. That means digital and mobile products and services, of course, but also making sure there’s someone there to help them in their branch, or by phone or chat. We intend to introduce solutions that our clients didn’t even know they wanted or needed. That’s an exciting challenge. How do you provide an experience that still feels personal? Digital should simplify clients’ lives and the way they bank, but what does ‘digital banking with a human touch’ look and feel like? It means intuitive and easy-to-use banking experiences; banking tools online and on mobile devices that simplify payments and transactions. It means a bank that’s able to understand and even anticipate our clients’ needs based on data. Our aim is not necessarily to deliver hi-tech services to our clients. We want to introduce solutions that leverage the latest and best digital technology, but in a human way; for instance, we recently launched our PayNow service in Singapore, which allows clients to transfer money to friends and family via mobile phone numbers. Over 50,000 people signed up for this service in the first few weeks – they love the convenience. What tech innovations are likely to change banking over the next few years? Any technology that makes banking more convenient is worth watching. Artificial intelligence, chatbots, blockchain, the ‘internet of things’ and many other innovations will be game changers. I think the three most important ones to focus on are: 1) digital solutions – that obsession with solving clients’ pain points with new technology; 2) services which intuitively learn our likes and dislikes 3) the new wave of platforms that will dispense with user interfaces entirely, instead using systems such as voice recognition. How will you keep clients coming back? I want to help give our clients the best experience across all platforms. That goes for every transaction and every touchpoint, whether in person or online – in Hong Kong, in Kenya, across all of our markets. We want our customers to want to come back, which means constantly looking at whether we can improve on what we’re doing. "Digital is a space where we embrace mistakes, then continuously improve based on what we’ve learned from our failures. That’s how innovation happens"
In recent years, businesses have been migrating from analogue to digital, but that often entails simply moving analogue products and services onto digital platforms, which works to an extent, but to deliver exceptional client experiences we need to create solutions that are native to digital platforms. For example, our SelfBank solution in South Korea is a fully digital account opening experience. Through video on-boarding, it’s no longer necessary to go into a branch to open an account or apply for a product. Collaborating with third parties is also really important to us. We have partnerships with ApplePay, Samsung Pay and AliPay and in South Korea, our customers can we use a Samsung eye verification platform to log in and sign off on transactions, which is more convenient than one-time password models. And we’re open to other integrations, whether it’s with established companies or start-ups. We do this through our eXellerator programme, the Bank’s innovation lab located in Singapore, and SC studios, our technology hub in Silicon Valley. Creating mechanisms for collaborating with companies that are at the leading edge of technology helps us innovate in ways that wouldn’t otherwise be possible. My philosophy is ‘do not fear failure’. One of the great things about the innovation space these days is ownership of failure, and acknowledging that failure is a necessary part of the process. Digital is a space where we embrace mistakes, then continuously improve based on what we’ve learned from our failures. That’s how innovation happens.